A pedestrian has died after being hit by a van in Slough. 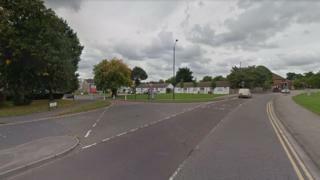 The 67-year-old man was struck by the Ford Transit van in Wexham Road, near the junction with Borderside, at 18:40 GMT on Tuesday. The driver, who stopped at the scene, was unhurt. The injured man was taken to the John Radcliffe Hospital in Oxford where he later died. Police have appealed for anyone who saw the crash or who may have dash-camera footage from the scene to get in touch. No arrests have been made and the victim's family has been informed.